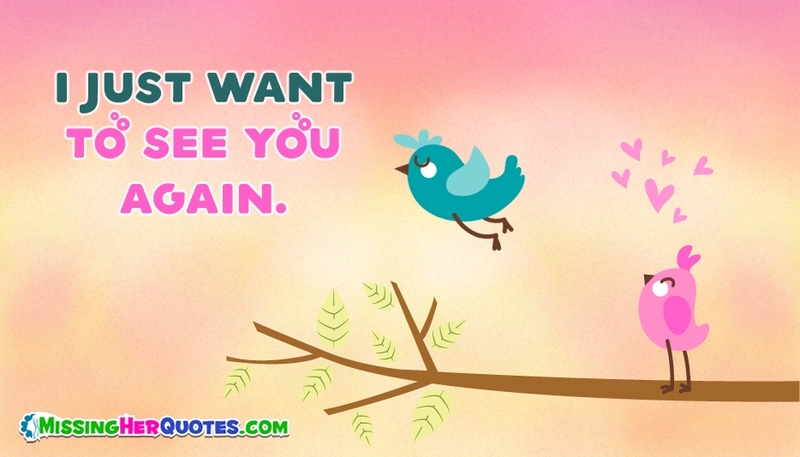 Share this "I just want to see you again" to let your sweetheart know from the bottom of your heart how much you miss her. Missing her is painful. Send this message to her to express your sadness without her.